A real piece of art is this beautiful Arabian Style Abaya. Go for it if you really think that you may carry this elegant piece. 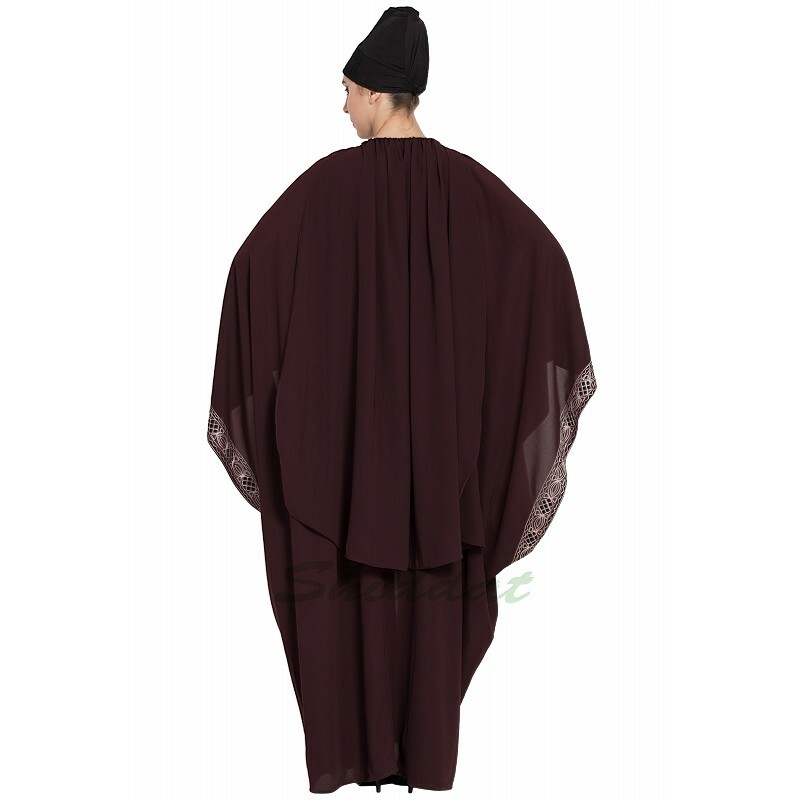 Check out the falling panel on the back which not only enhances the overall look of the Abaya but can also be slipped on your head and mouth as a hijab. Embroidery work on Front Panels and wide sleeve cuffs further add to the beauty of this Arabian Style Abaya. This article is made of Nida (Matte Finish) fabric which is very Soft, Breathable, Light Weight and easy to maintain. It gives a good fall to the garment.